It is said that within five minutes of entering the Church building, people have decided whether they will come back. Reaching out to those who enter our doors with a sincere handshake, greeting and a welcoming smile could be the most important missionary work we do. Friendliness has eternal implications and our Committee is here to welcome all who enter Holy Trinity. If you are outgoing, friendly and have a good knowledge of our Church, then this is the place for you! Check welcoming committee on your 2017 stewardship card and someone will contact you soon with more information. The Greek Orthodox Ladies’ Philoptochos Society is the right hand of the church. The Society’s main mission is philanthropy and communal outreach. All Orthodox Christian women over the age of 18 who are members of the parish are strongly encouraged to become Philoptochos members. Members in good standing meet a minimal annual stewardship obligation to the organization. Our mission is to identify and organize mission opportunities and service projects that will foster and build parish involvement to address the needs of our city, country and world. Missions will be met through organized trips, which through service will bring the love and gospel of Christ to specific mission destinations. (Guatemala orphanage, Project Mexico, Kenya Orphanage, etc. ); as well as programs that help the needy, hurting and desperate. (Soup Kitchens, Clothing & Food Banks, homeless, etc.). We also would like to create opportunities of Outreach in our city to bring into the Church the unchurched; those who may seek to find the true Church of Christ and make the necessary appeals to the public on our Orthodox faith and original Christian Church which historically started in 33AD. Speak to one of the Priest if you are interested in participating in a trip. The purpose and goal of this precious Committee is to prepare food (pastitsio, spinach pitta, tyropitta, spaghetti) to enable the Priest and the visiting Ministry Team in their visits to offer cooked food to the needy in our Community. Committee meets twice a year. Headquartered in St Augustine, FL and do mission work all over the Global. The undertaking of this Orthodox Charity is to help worldwide, wherever there is hunger, sickness, poverty, destruction of homes and lifestyle, due to natural disasters, war, and pestilence, by caring for children, providing food and shelter, drilling wells, sometimes teaching job training, and repairing schools and hospitals among many other projects. Area churches all participate and hold occasional meetings in preparation of the annual Fundraising Event.  TO JOIN A MINISTRY SIMPLY FILL OUT A PLEDGE CARD SELECTING THE MINISTRIES THAT YOU WISH TO PARTICIPATE IN AND SUBMIT THE PLEDGE CARD TO THE HOLY TRINITY OFFICE.